Do you wish to have a Wufoo alternative that makes you go from “oof” to “phew”? Well you can, now that you have landed on the Sparrow’s nest. Why don’t you set aside a minute to scroll through some points we have charted out! We promise it would make your decision-making process breezy! People frown at the sound of taking a survey. But what if you could turn this infamous frown upside down? What if you could engage the people who take your survey? The solution is simple. Chat with them rather than pestering them for answers! When you throw questions at your audience with limited options, they click the radio buttons or tick the checkboxes without even glancing! What’s the use in that? Conversations engage people. When engaged, honest feedback finds its way in. 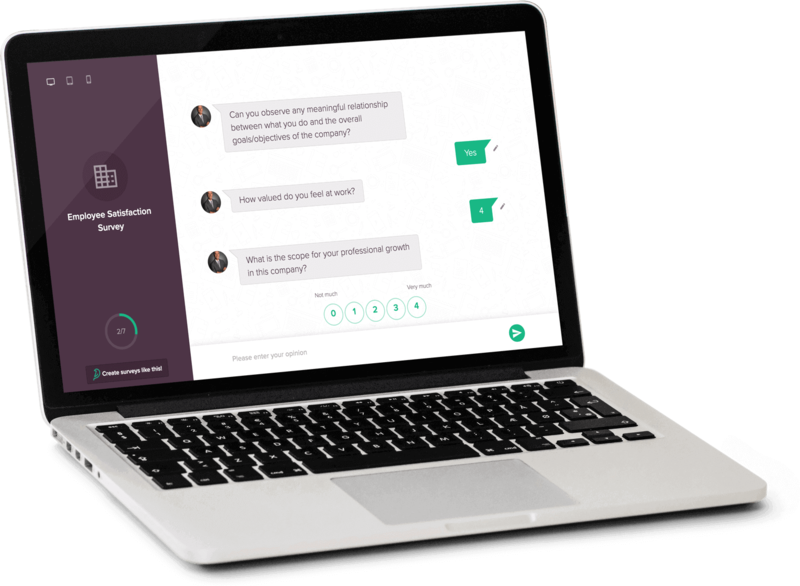 SurveySparrow's online survey software has such a refreshing chat-like environment. It would be just like a friend asking you which jacket you liked the best; the brown, black or white one! Doing the same task over and over again makes it a chore! And if you have the chore of sending out the same survey to hundreds of people repeatedly with time, well, we have some really good news for you, friend! 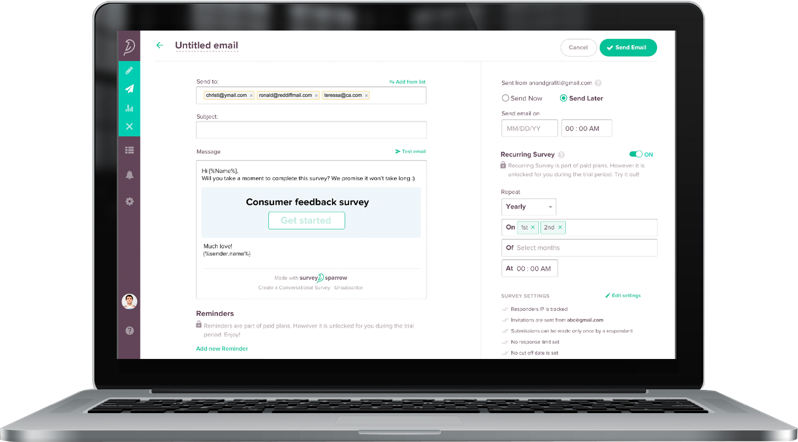 SurveySparrow’s recurring survey feature helps you to send a survey multiple times. You can choose the time, date, and day of the month when the survey must be shared. This is a one-time configuration after which the process is fully automated. All you need to do is await your survey responses! With easy email share, reach more! What better way to send out your surveys than by a well-presented email? A crisp subject, welcoming message, perhaps the first question to your survey, and thanking on a good note will surely make your user click the ‘Take Survey’ icon at the end of the email! Send out such emails to mass audience effortlessly using SurveySparrow. Why effortlessly? This is because you can schedule when your emails must be sent! What’s more and even better? Each respondent you’ve sent an email to gets a unique link which can be used to track responses! 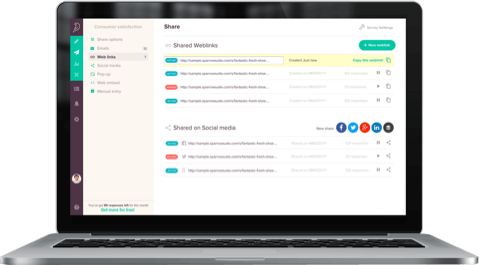 But with Wufoo, you can send out emails which consist of just the weblink to share surveys. Most of the survey tools offer weblinks for sharing your surveys. 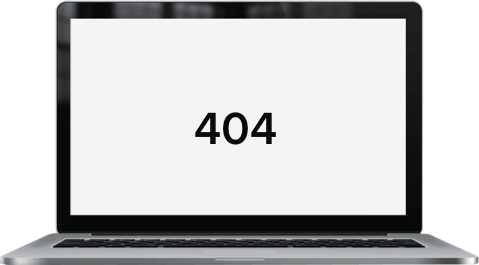 And a single link is mostly given out to users. What if your survey share method can give you insights into how your survey is faring as well? If you could track which channel is fetching you more responses using the weblinks? With SurveySparrow, you can create such multiple unique links. You might wonder what’s the deal about it? Say you are sending out your surveys across various social media channels. Such multiple unique links can be utilized for each channel. Upon tracking, you can analyze which channel has fetched you maximum respondents and thus strategize accordingly. With Wufoo, all you get is a single weblink with which you must share your surveys everywhere! You might ask why managing your audience is needed? How would it be if you asked the Head of Engineering the growth prospects in the Sales Team? Ouch! 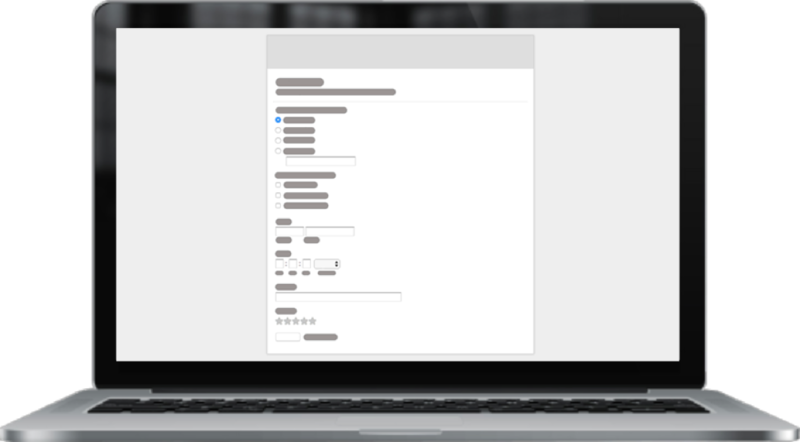 Imagine if you want to send out different surveys for different people in your audience? Sending out an unrelated survey to your user is the easiest way to earn the title of a spammer. When you have your audience categorized and listed under various groups, it provides you better visibility, easy tracking and drawing quick analysis. SurveySparrow helps you to segment and organize your audience into various lists (Oh!, you can also import your contacts in a jiffy using a CSV upload). Convinced enough that SurveySparrow is a good Wufoo Alternative? One fly over the Sparrow’s nest is all you need to change the perception of surveys from being the Darth Vader to SkyWalker for your audience! So, what are you waiting for? 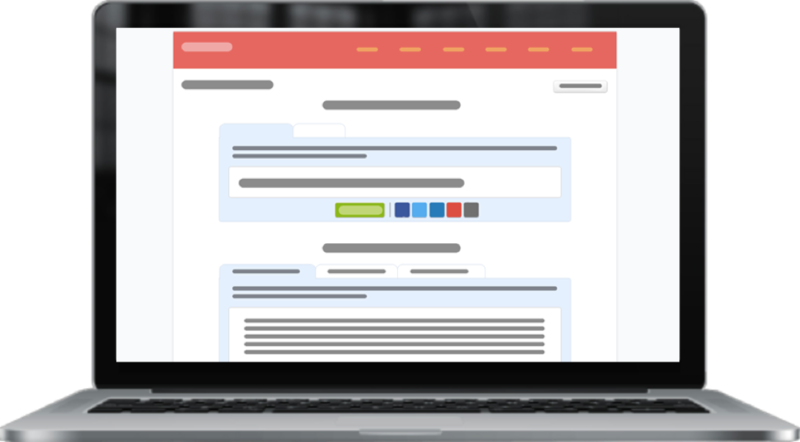 Get more completions of your surveys more than ever. SignUp and start conversing, now!